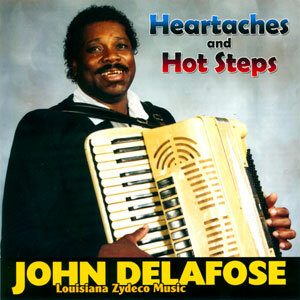 John Delafose played Zydeco before Zydeco was Zydeco! 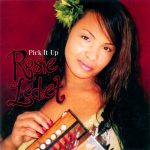 This album is “must-have” classic Zydeco from a legend. Zydeco music is the fusion of traditional Cajun music and rhythm & blues, with the accent on the blues. Heartaches and Hot Steps is dance and party music (sung in French and English), with the late Clifton Chenier as the B.B. King of the music. Accordion player/singer John Delafose carries on in the Zydeco tradition admirably, with his rough, joyous vocals and rockin’ playing. His band, the usual guitars-bass-drums-washboard combo, makes with the sharp licks and buoyant spirit. Fans of the traditional sound won’t be disappointed by this fine album. Released in 1990, 14 tracks.